On amazing journeys through Burma, scientists and gem trading experts reveal the mysteries of the world’s most beautiful gemstones. In his book La Vallée des rubis (Valley of the Rubies), Joseph Kessel described a city “even more secret than Mecca, harder to reach than Lhasa”. Half a century later, Mogok is as enchanting as ever, and getting there from Mandalay is a trip still fraught with uncertainty. A Franco-Swiss team of gemmologists, guided by Kennedy Ho, one of Asia’s most influential gemstone experts, and accompanied by photo-reporter Jean-Baptiste Rabouan, leads us through this valley of wonders. They explain the history, culture and geology of the mountains of Myanmar, whose underlying rocks conceal a globally unique array of precious stones, and provide key insights into their fabulous métier, whose core tasks including quality assessment and valuation of rubies, sapphires, spinels, peridots and other treasures of Mogok. Descending with them into the State-run mines which follow the main seams of precious stones, we meet the miners, working away like Sisyphus transported to the jungle, and the women and children who sort through the mine waste material in search of gems that have been missed; and we visit the markets where stones destined for the jewellers of the Place Vendôme are traded. 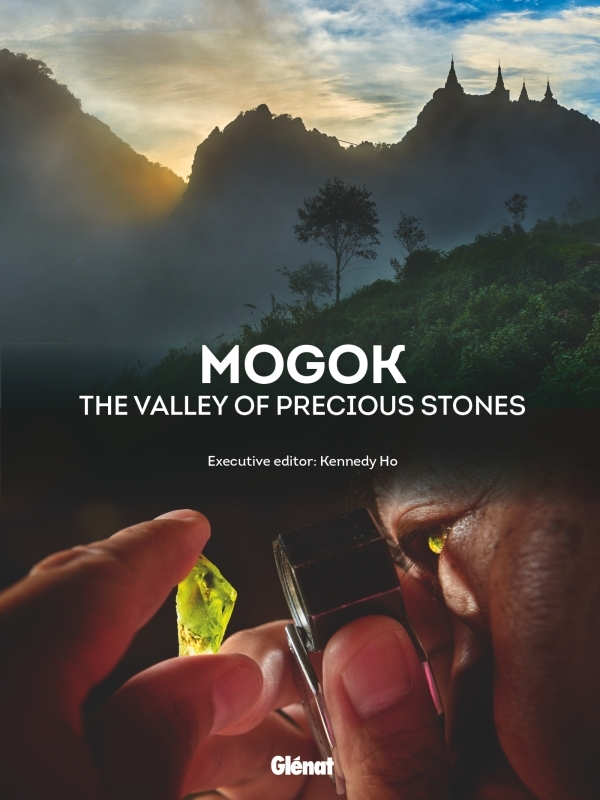 This unprecedented exploration of the Mogok Valley, made possible by the Asian Institute of Gemological Sciences, makes the book a fascinating new reference work for devotees of precious stones and travellers seeking a truly unique experience.